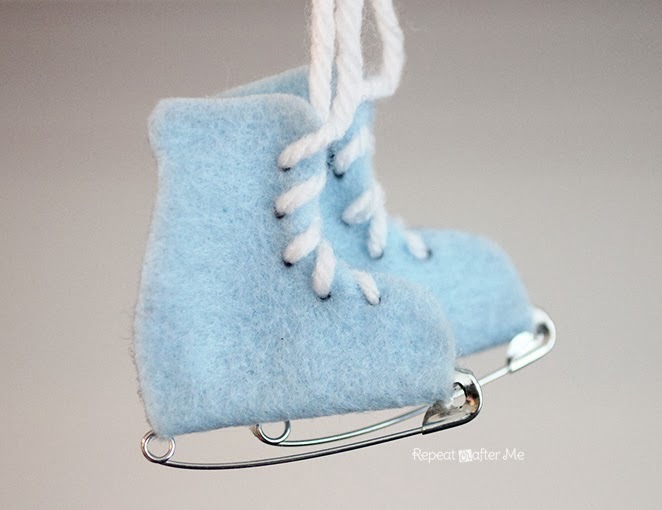 If you need a last minute ornament idea or if you just want a cute winter magnet, pin or decoration, these safety pin ice skates are easy to make! 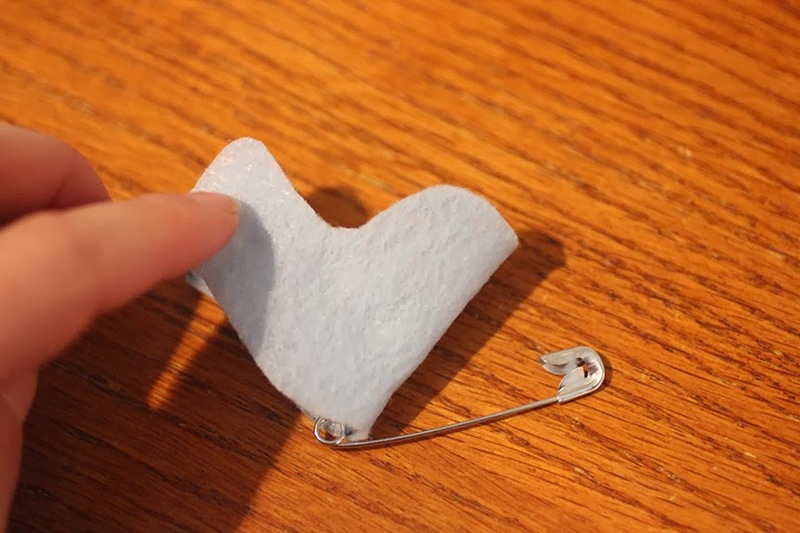 With the simple and clever addition of a safety pin for the blade, all you need is a little felt (or card stock paper) to put these together. 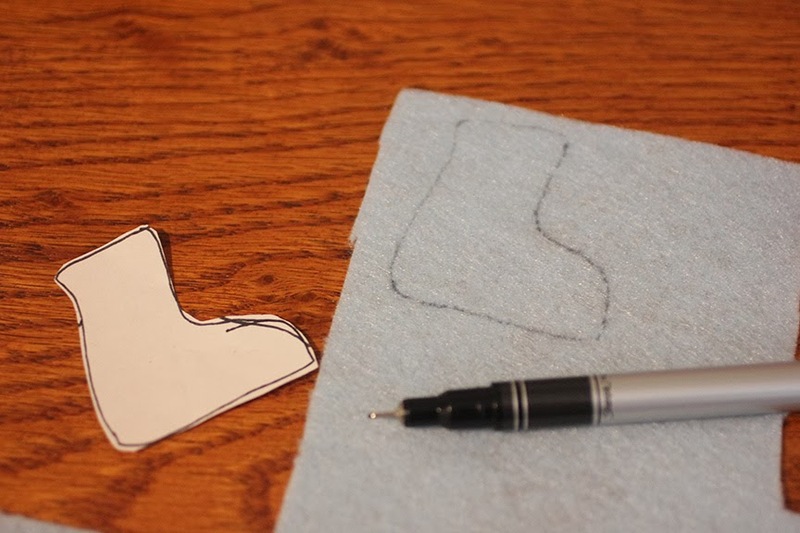 Print and cut out your skate from the template provided or you can freehand your own. 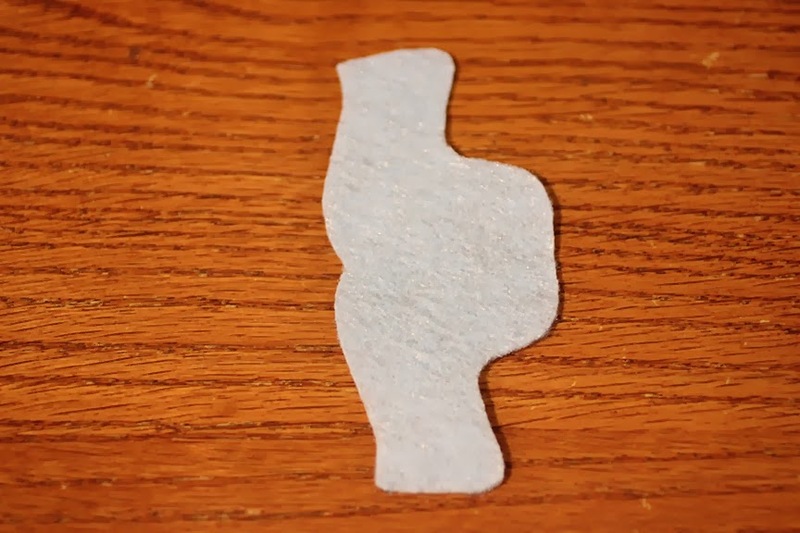 Trace the skate onto your felt. 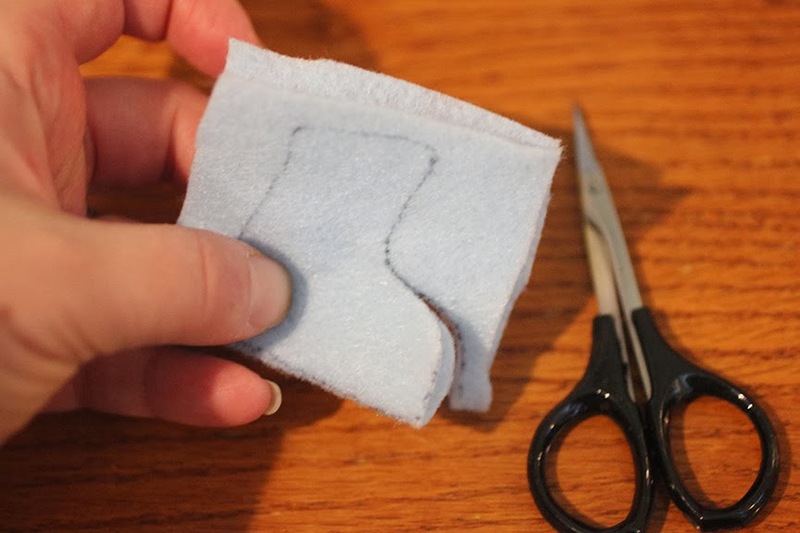 Now fold your felt in half along the bottom skate line. Cut out your skate. Now its time to pin your safety pin in place. 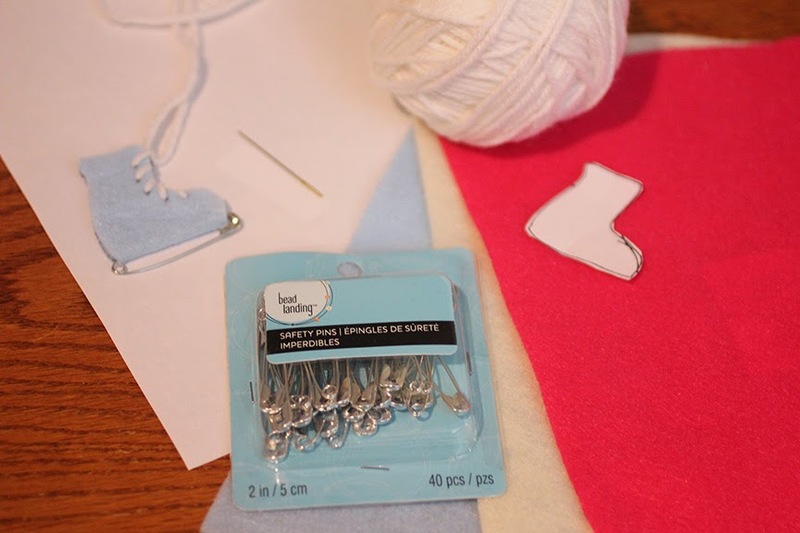 Thread your yarn and “lace” the shoes. It helps to make dots where you want the laces to go to help guide you. Finish by hot gluing (or use regular glue) The inside edges together. 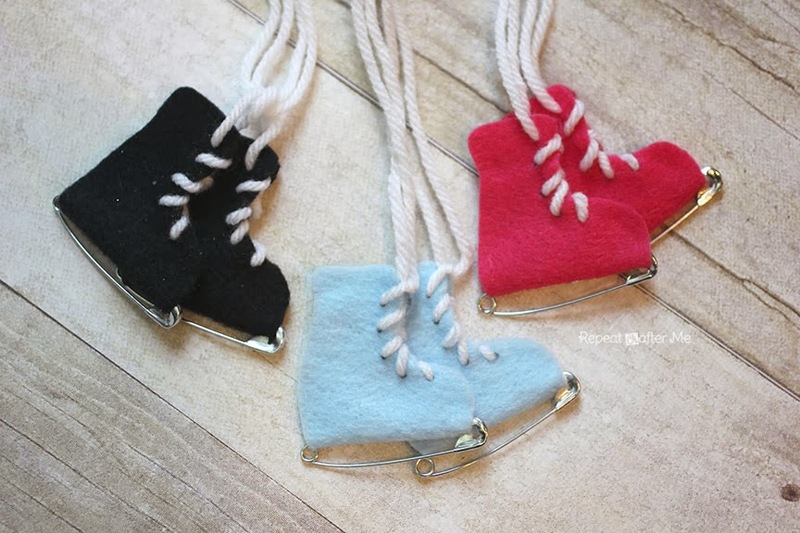 Leave the laces long and hang up as an ornament! 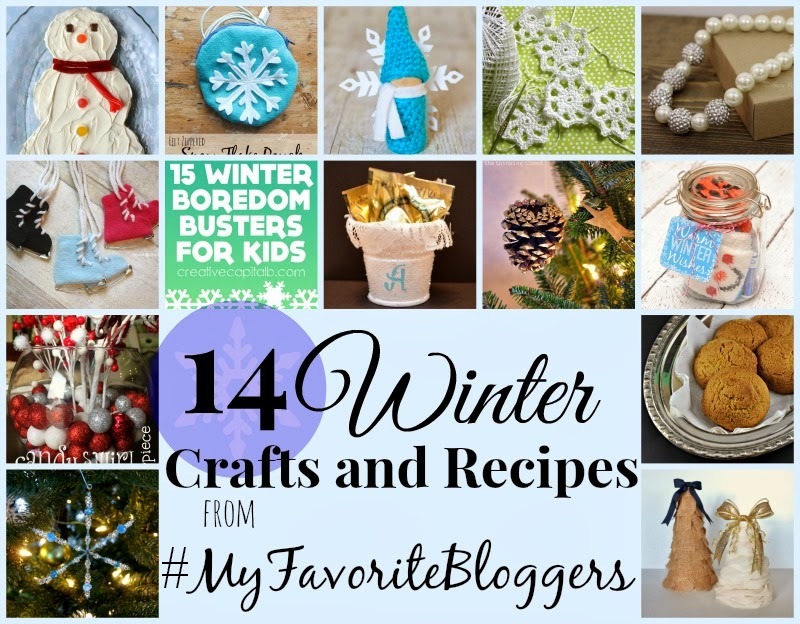 Now for even more crafty inspiration, come see 14 fabulous winter crafts and recipes from #MyFavoriteBloggers! Winter wishes to all! Peppermint Sugar Cookie Snowman, Zippered Snowflake Pouch, Crocheted Winter Gnome, Crocheted Snowflake Pattern, Winter Princess Pearl Necklace, Safety Pin Ice Skates, 15 Winter Boredom Busters for Kids, Winter Party Favors, Gold-Brushed Pine Cone Ornaments, Winter Gift in a Jar, Candy Swirl Winter Centerpiece, Egg Nog Cookies, Easy Beaded Snowflakes, DIY Christmas Trees. 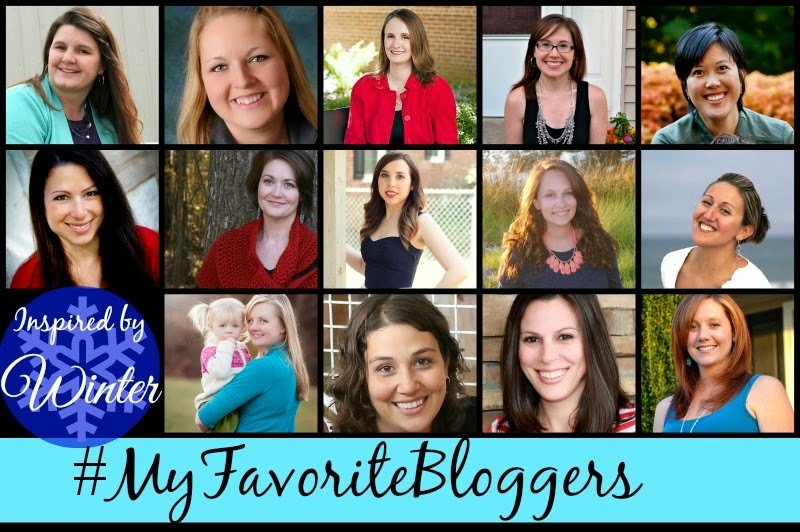 And meet the creative women behind the blogs! These are so cute! My sisters and I were big skaters as kids, so I'm going to make these for them for their trees. Oh my gosh, I made these years and years ago and use the big paper clip instead of a safety pin. We used to pin them on our coats and sweaters. Everything old is becoming new again 🙂 Thanks for the memories. So cute and so simple! I love all your craft ideas Sarah! Sarah – these are the cutest things ever! I can see them being ornaments or as embellishments for wrapped gifts! These are just the cutest little things! I LOVE the safety pin blades! Loved it!!! Just made a pair right now!!! They are already hanging in my christmas tree! These are so cute, Sarah! Pinned! These are adorable! On my list to make for next Christmas 🙂 Thanks! Can you explain how you sew the laces? I can’t see a button, but thought I could figure this out! I may be wrong! 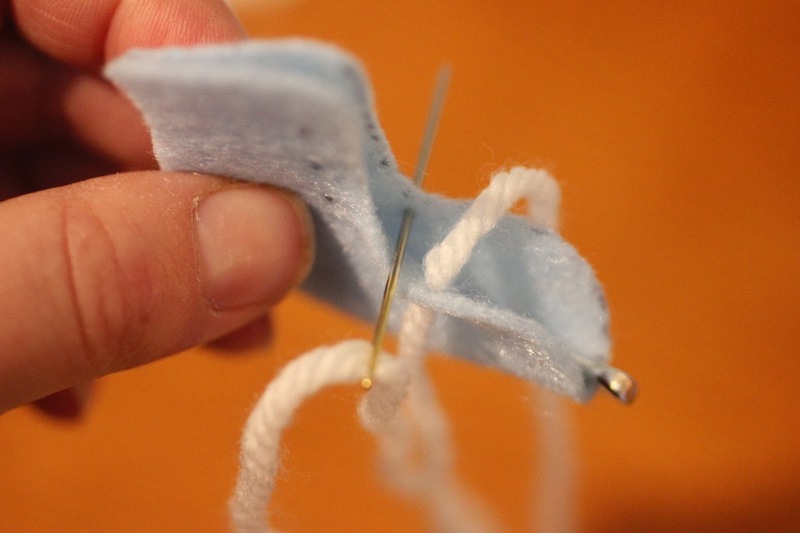 Do you run the needle through both felt sides? One lace one side at a time? Now you can have a tutorials for the restart in windows 10.